Zachary Senn | 10/4/2017, 10:13 a.m.
A world champion in the ring, Portland boxer Steve ‘2 Pounds’ Forbes (left), is taking his expertise from the gym to a new level by starting his own personalized boxing training business. One of Portland’s most accomplished athletes is opening a specialized training studio in his beloved Rose City. Steve “2 Pounds” Forbes, a professional boxer who was born in Portland in 1977, is opening 2 Pounds Sports to share his knowledge and talent with a new generation of athletes. “I was born here, weighing just two pounds,” Forbes told the Portland Observer, explaining his iconic boxing nickname. 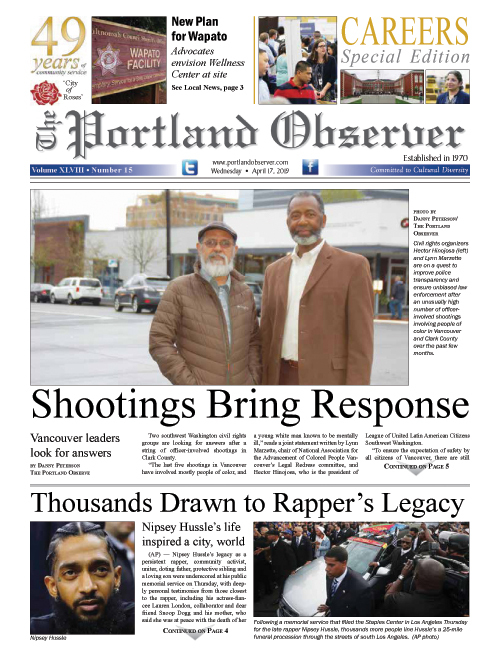 The hometown hero was raised by his grandmother and began training at north Portland’s Matt Dishman Community Center at the age of 10. By 1996, he landed in Las Vegas to pursue a career in professional boxing. Forbes earned his professional boxing credentials by training with the likes of boxing icon Floyd Mayweather Sr., and sparring against other great featherweight fighters such as Carlos Hernandez. Forbes says that it was his grandmother who inspired him to return to Oregon to open up a boxing training studio after he achieved professional success. He is currently in the process of procuring a studio space for 2 Pounds Sports, which will offer training sessions and sports promotion for prospective boxers in the Portland area. Forbes is also getting involved with the city’s mixed martial arts (MMA) community, which he says is more established than its boxing scene. He is offering specialized training sessions for prospective MMA fighters through 2 Pounds Sports. 2 Pounds Sports will also offer Forbes’ unique professional perspective to groups who are interested in receiving collective education. “Group training gets people together so they can work together and learn together,” Forbes said.